OLD PARKED CARS. 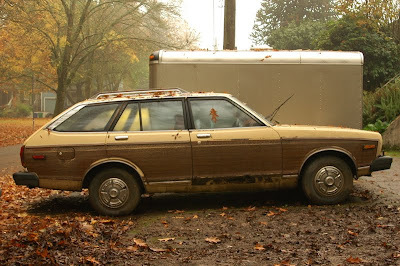 : Wood Grain Wagon: 1979 Datsun 210. 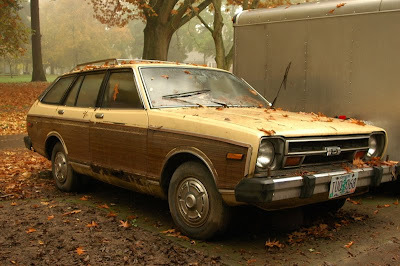 Wood Grain Wagon: 1979 Datsun 210. Man, this thing must be a neighborhood legend! 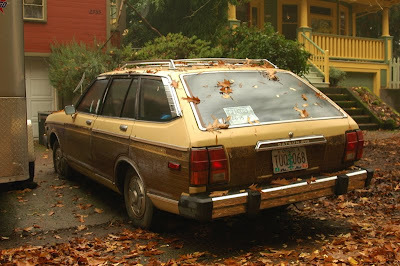 It blends in so well with the eerie fall setting, and dang those hubcaps set it off. As a former 210 owner, I bet this thing drives way better than it looks. I can't imagine a better sleeper platform than a woodgrain 210 wagon. Those hubs are KILLER. 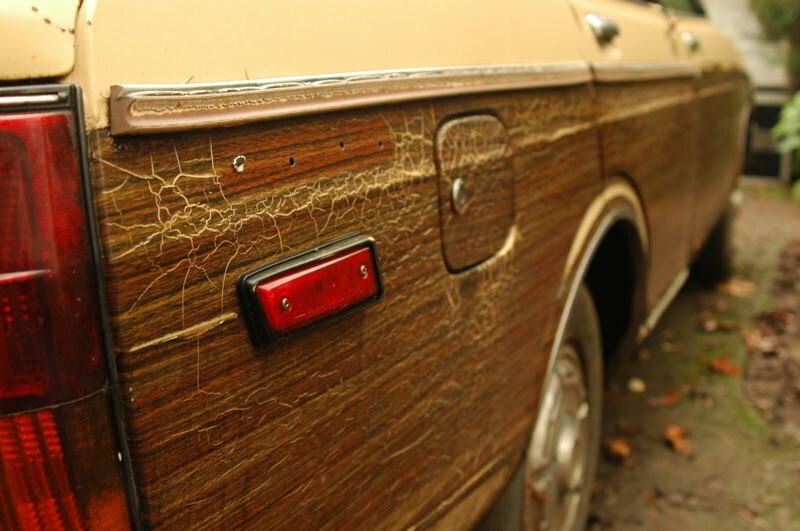 Man, the hangover puke tan, the woodgrain, the hubcaps, they all fit together perfectly. 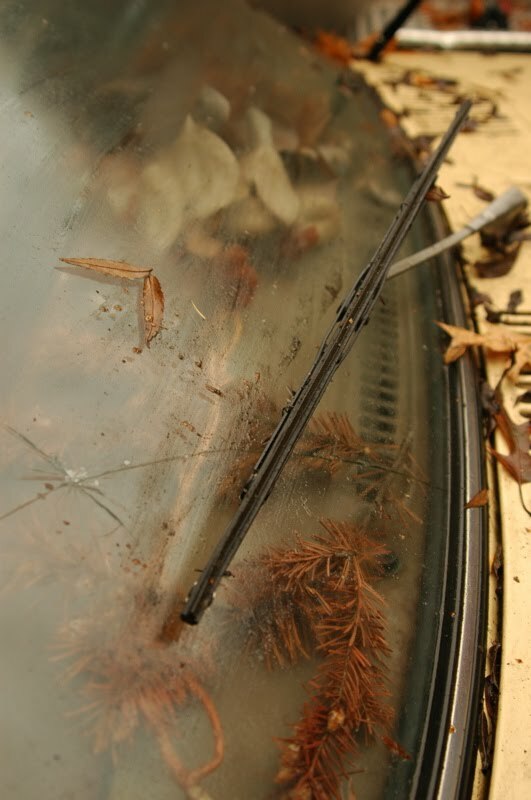 I have this exact same car!! We are the same age! 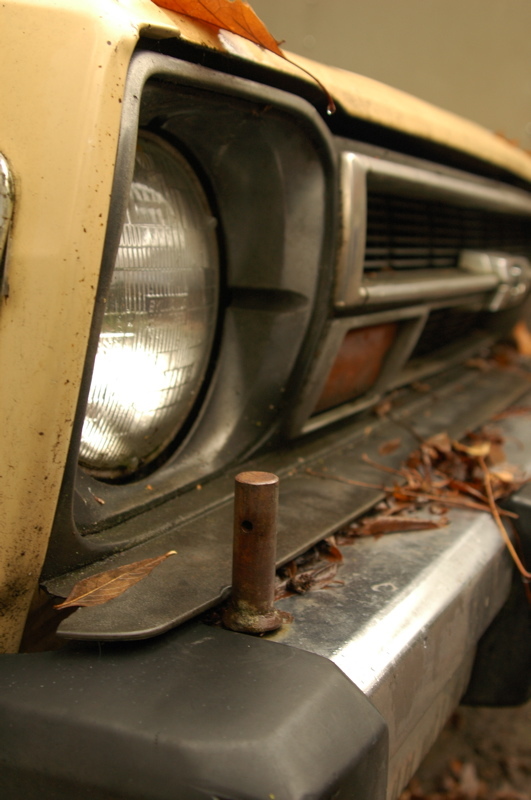 well, so much for "oldparkedcars" being about shots of cars in good shape. This one takes the cake! 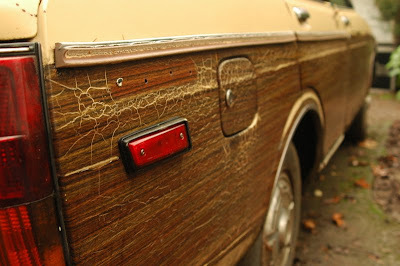 I love the shot of the debris inside the windshield and the crazed, oxidized woodgrain. My neighbors once had a Datusn similar to this one, except that it was blue and lacking the woodgrain trim. We were playing in it in the garage one day and I accidentally popped the clutch (even though I didn't know what a clutch was at the time). I have never seen him move so fast as he did when that car started moving. Great memories from a great old parked car!